Self-catering accommodation has become very popular with holidaymakers and for good reasons. These types of accommodation offer flexibility and a touch of home comfort that cannot be found in half-board or all-inclusive accommodation facilities. Here are some reasons to stay in self-catering accommodation during your next holiday. Self-catering accommodation is cheap especially when you’re travelling with your family or a large group of people. Unlike hotels that charge per person, this type of accommodation is normally charged per home or villa. Additionally, hotel guests are billed with several extra expenses like gratuity making your resort fees expensive. With self-catering holiday homes, you only pay what the amount stipulated in the lease contract. Villas and self-catering holiday homes are usually more spacious than hotel rooms. Most of these accommodations have one or two bedrooms, living area, and cooking/dining area. Some even have outside decks or fire pit areas where you can enjoy stunning views. With self-catering accommodation in Stockport, Marple, and Cheshire, you can eat what you want. You may choose to eat out, bring over food from the market, and prepare your own meals. Additionally, most cottages are equipped with necessary appliances should you want to wash your clothes after a day out, microwave leftovers, make popcorn in the middle of the night or bake cookies. This type of accommodation is virtually a home away from home. Another reason to opt for a self-catering home during your holiday is the variety of options available. Whether you need a small compact apartment for you and your partner or a spacious property for a family holiday, there’s plenty on offer. Convenience – other than arrival and departure times, there are no other restrictions to worry about. Therefore, you can come and go as you please. With the increasing popularity of self-catering holiday accommodations, it now possible to get this type of accommodation in most countries in the world. Wherever your travels may take you, staying in a self-catering accommodation will offer you a lot more flexibility, comfort, and privacy than resorts and other forms of accommodation. If you’re looking for accommodation in Stockport, Marple or Cheshire, Magpie Cottages is a great choice. 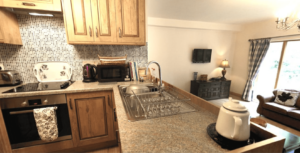 The luxury self-catering cottages have all the amenities you may need during your holiday and are in close proximity to most local attractions.